Abt Electronics, one of the nation's largest independent retailers and leading nationwide presence through its e-commerce site Abt, is proud to be the first retailer in the nation to host a new product launch event with Samsung for their new UHD, Plasma and LED TVs. 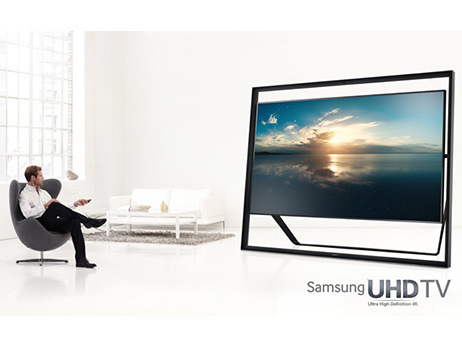 On May 15, the public will be able to preview stunning TV viewing like they've never experienced before on the super large 85" Samsung S9 Ultra HD TV. With four times the resolution, immersive screen size, high-quality hidden speakers, event attendees will be blow away by the elevated viewing experience. Other top of the line Samsung TVs will also be on-site including the 60" Class LED 8000 Series Smart TV and 64" Class Plasma 8500 Series Smart TV; both featuring the new Smart Hub which redefines TV viewing by organizing your entertainment and content. The event will feature live demos from Samsung's expert trainers where customers will be able to learn more. Additional information: Refreshments will be provided by Jolane's Restaurant & Bar and attendees can enter a raffle for a chance to win Abt gift cards.